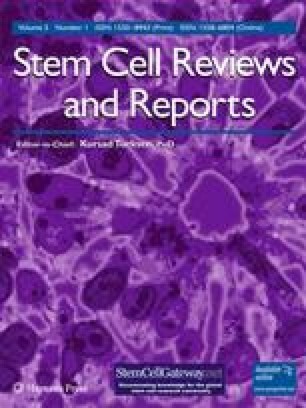 To overview banks, repositories and registries of stem cell lines in Europe excluding bone marrow and cord blood banks; to concisely discuss the most important scientific, regulatory and ethical aspects of stem cell banking in a manner understandable to a layperson, but remain detailed enough not to compromise thoroughness of information. Review of scientific publications, laws and ethical guidelines in this field up through September 2008; hearing the opinions of key persons working in stem cell banking. The article discusses the procedure of stem cell banking and related safety issues and reviews the regulation of stem cell banking at the regional (European) and the national level. Stem cell banking can help meet scientific and certain ethical imperatives, but is complicated in the context of heterogeneous laws, guidelines, and ethical standards. In the pluralistic European society with cultural diversity leading to heterogeneous laws, harmonisation of international guidelines and national laws regulating stem cell banking is needed, as well as mapping of implementation at the national level. This work was supported by funding for the ESTOOLS consortium under the Sixth Research Framework Programme of the European Union LSHG-CT-2006-018739. The author also thanks Prof. Göran Hermerén and Prof. Tore Nilstun for advice during the writing of this review article, as well as Dr. Glyn Stacey for helpful comments. The author is also very grateful to Prof. Augusto Silva, Dr. Pablo Menendez, Dr. Javier Arias, Amparo Galán Albiñana and Marta Reboredo Ares for sharing valuable information about the Spanish National Bank for Cell Lines and the Spanish legislation. The International Society for Stem Cell Research. (2006). Guidelines for the Conduct of Human Embryonic Stem Cell Research, 21 December 2006 [cited 2008 May 9]; Available from: URL: http://www.isscr.org/guidelines/ISSCRhESCguidelines2006.pdf. The European Human Embryonic Stem Cell Registry official website [cited 2008 May 7]; Available from: URL: http://www.hescreg.eu. The US National Research Council and Institute of Medicine of the National Academies. Guidelines for Human Embryonic Stem Cell Research [cited 2008 December 18]; Available from: URL: http://www.pre.ethics.gc.ca/english/pdf/NASGuidelines2005.pdf. The UK. Stem Cell Bank official website [cited 2008 May 7]; Available from: URL: www.ukstemcellbank.org.uk. Position statement on regulating human embryonic stem cell lines for human application. Joint statement from the Human Tissue Authority (HTA), Human Fertilisation and Embryology Authority (HFEA) and Medicines and Healthcare products Regulatory Agency (MHRA). 3 May 2007 (updated May 2008) [cited 2008 August 6]; Available from: URL: http://www.hta.gov.uk/search.cfm?FaArea1=CustomWidgets.content_view_1&cit_id=419&useCache=false. European Commission Enterprise and Industry Directorate-General. The Rules Governing Medicinal Products in the European Union, Volume 4, Good Manufacturing Practice. Medicinal Products for Human and Veterinary Use. Draft Annex 2: Manufacture of Biological Medicinal Products for Human Use. [cited 2008 May 9]; Available from: URL: http://ec.europa.eu/enterprise/pharmaceuticals/pharmacos/docs/doc2007/2007_09/gmp_annex_2_consultation_2007_09_03.pdf. European Union Directive 2004/23/EC of the European Parliament and the Council of 31 March 2004 on setting standards of quality and safety for the donation, procurement, testing, processing, preservation, storage and distribution of human tissues and cells. [cited 2008 May 14]; Available from: URL: http://eur-lex.europa.eu/LexUriServ/LexUriServ.do?uri=OJ:L:2004:102:0048:0058:EN:PDF. European Pharmacopoeia. Pharmaceutical Inspection Convention. Pharmaceutical Inspection Cooperation Scheme, PE 009-1, 1 September 2003. Guide to Good Manufacturing Practice for Medicinal Products [cited 2008 May 28]; Available from: URL: http://www.21cfrpart11.com/files/library/reg_guid_docs/pics_guid.pdf. European Pharmacopeia. European Pharmacopoeia section 2.6.1 (Sterility), Maisonneuve SA, Sainte Ruffine 2004 [cited 2008 May 28]; Available from: URL: http://lib.njutcm.edu.cn/yaodian/ep/EP5.0/02_methods_of_analysis/2.6.__biological_tests/2.6.1.%20Sterility.pdf. European Pharmacopeia. European Pharmacopoeia section 2.6.7 (Mycoplasma), Maisonneuve SA, Sainte Ruffine 2004 [cited 2008 May 28]; Available from: URL: http://lib.njutcm.edu.cn/yaodian/ep/EP5.0/02_methods_of_analysis/2.6.__biological_tests/2.6.1.%20Sterility.pdf. European Medicines Evaluation Agency. (1997), ICH Consensus guideline on quality of biotechnology products: viral safety evaluation of biotechnology products derived from cell lines of human or animal origin, publication n CPMP/ICH/295/95, European Medicines Evaluation Agency, Canary Wharf, London. [cited 2008 May 12]; Available from: URL: http://www.tga.gov.au/docs/pdf/euguide/ich/029595en.pdf. International Stem Cell Forum. International Stem Cell Banking Initiative Consensus Guidance for Banking and Supply of Human Embryonic Stem Cell Lines for Research Purposes. Final Draft for Open Consultation, 18 February 2008 [cited 2008 June 11]; Available from: URL: http://www.stemcellforum.org. Coecke, S., Balls, M., Bowe, G., Davis, J., Gstraunthaler, G., Hartung, T., et al. (2008). Guidance on Good Cell Culture Practice. A Report of the Second ECVAM Task Force on Good Cell Culture Practice. Available from: URL: http://ecvam.jrc.it. European Union Directive 95/46/EC of the European Parliament and of the Council of 24 October 1995 on the protection of individuals with regard to the processing of personal data and on the free movement of such data. [cited 2008 May 14]; Available from: URL: http://eur-lex.europa.eu/LexUriServ/LexUriServ.do?uri=CELEX:31995L0046:EN:HTML. The UK. Steering Committee for the Stem Cell Bank and for the Use of Stem Cell Lines. Code of Practice for the Use of Human Stem Cell Lines. [cited 2008 May 26]; Available from: URL: http://www.ukstemcellbank.org.uk/code_of_practice.html. Commission Directive 2006/17/EC of 8 February 2006 implementing Directive 2004/23/EC of the European Parliament and of the Council as regards certain technical requirements for the donation, procurement and testing of human tissues and cells [cited 2008 May 26]; Available from: URL: http://eur-lex.europa.eu/LexUriServ/site/en/oj/2006/l_038/l_03820060209en00400052.pdf. Commission Directive 2006/86/EC of 24 October 2006 implementing Directive 2004/23/EC of the European Parliament and of the Council as regards traceability requirements, notification of serious adverse reactions and events and certain technical requirements for the coding, processing, preservation, storage and distribution of human tissues and cells [cited 2008 May 26]; Available from: URL: http://eur-lex.europa.eu/LexUriServ/LexUriServ.do?uri=OJ:L:2006:294:0032:0050:EN:PDF. Article 29 of the Directive 95/46/EC Working Party (Independent European Advisory Body on Data Protection and Privacy). Opinion 4/2007 on the concept of personal data 01248/07/EN, 20 June 2007 [cited 2008 June 12]; Available from: URL: http://ec.europa.eu/justice_home/fsj/privacy/docs/wpdocs/2007/wp136_en.pdf. The European Group on Ethics in Science and New Technologies to the European Commission. Recommendations on the ethical review of hESC FP7 research projects. Opinion No 22. 20 June 2007 [cited 2008 May 26]; Available from: URL: http://ec.europa.eu/european_group_ethics/index_en.htm. The UK Medical Research Council. Policy and Guidance. Using the UK Stem Cell Bank. [cited 2008 May 7]; Available from: URL: http://www.mrc.ac.uk/PolicyGuidance/EthicsAndGovernance/StemCells/UsingTheUKStemCellBank/index.htm. The UK. National Institute for Biological Standards and Control official website [cited 2008 May 7]; Available from: URL: www.nibsc.ac.uk. The Andalusian Molecular Biology and Regenerative Medicine Centre official website [cited 2008 May 8]; Available from: URL: http://www.cabimer.es/en. Centre of Regenerative Medicine in Barcelona official website [cited 2008 May 8]; Available from: URL: http://www.cmrbarcelona.org. Principe Felipe Centro de Investigacion. Valencian Branch of the National Stem Cell Bank [cited 2008 July 31]; Available from: URL: http://www.cipf.es/LineasInvestigacion/?lang=en&op=3-6. International Consortium of Stem Cell Networks. Spanish Stem Cell Network (Bank) [cited 2008 July 31]; Available from: URL: http://icscn.wordpress.com/members/spanish-stem-cell-network-bank/. Directive EU. 2006/17/EC: Implementing Directive 2004/23/EC of the European Parliament and the Council as regards certain technical requirements for the donation, procurement, and testing of human tissues and cells. [cited 2008 May 15]; Available from: URL: http://eur-lex.europa.eu/LexUriServ/site/en/oj/2006/l_038/l_03820060209en00400052.pdf. Directive EU. 2006/86/EC: Implementing Directive 2004/23/EC of the European Parliament and the Council as regards traceability requirements, notification of serious adverse reactions and events and certain technical requirements for the coding, processing, preservation, storage and distribution of human tissues and cells. [cited 2008 May 15]; Available from: URL: http://eur-lex.europa.eu/LexUriServ/site/en/oj/2006/l_294/l_29420061025en00320050.pdf. Human Tissue Act 2004. [cited 2008 May 26]; Available from: URL: http://www.opsi.gov.uk/ACTS/acts2004/pdf/ukpga_20040030_en.pdf. The UK Medical Research Council. Department of Health Guidelines for the UK Tissue Banks [cited 2008 May 7]; Available from: URL: www.mrc.ac.uk. The New York Times. Bank for Human Stem Cells Starts Ethics Debate in Spain. By Dale Fuchs. February 15, 2004 [cited 2008 May 8]; Available from: URL: http://query.nytimes.com. Spain News and Information in English [cited 2008 May 8]; Available from: URL: http://www.typicallyspanish.com/news/publish/article_13869.shtml. Imperial College London. Nicholson P, Henley P. Human Tissue Act: Implications for Researchers. Powerpoint presentation. [cited 2008 May 26]; Available from: URL: http://www3.imperial.ac.uk/portal/pls/portallive/docs/1/7292264.PPT. South Manchester University Hospitals NHS Trust. Maines A. Human Tissue Act: Implications for Research. October 2006. Powerpoint presentation. [cited 2008 May 26]; Available from: URL: www.researchdirectorate.org.uk/Governance/HTA_Oct06.ppt. The UK Human Fertilisation and Embryology Act. (1990) UK. [cited 2008 May 7]; Available from: URL: http://www.opsi.gov.uk/Acts/acts1990/Ukpga_19900037_en_1.htm. The UK Human Tissue Authority. Human Tissue Act Questions and Answers [cited 2008 May 26]; Available from: URL: http://www.idrn.org/human_tissue_questions.php. The UK Human Fertilisation and Embryology (Research Purposes) Regulations 2001. Statutory Instrument 2001 No. 188. [cited 2008 May 26]; Available from: URL: http://www.opsi.gov.uk/SI/si2001/20010188.htm. The UK Human Fertilisation and Embryology (Quality and Safety) Regulations 2007. S.I. 2007/1522. Dated 24 May 2007. [cited 2008 May 24]; Available from: URL: http://www.opsi.gov.uk/si/si2007/20071522.htm. The UK Medical Research Council. Good Research Practice [cited 2008 May 28]; Available from: URL: http://www.mrc.ac.uk/Utilities/Documentrecord/index.htm?d=MRC002415. The Spanish Crown Decree No. 2132/2004 of 29 October 2004 establishing the requirements and procedures governing requests to carry out research projects involving stem cells obtained from surplus pre-embryos. [cited 2008 May 25]; Available from: URL: http://www.boe.es/boe/dias/2004-10-30/pdfs/A35905-35907.pdf (in Spanish) and from http://www.who.int by search. The Spanish Order SCO. 393/2006 of 8 February 2006 providing for the organization and operation of the National Bank for Cell Lines. [cited 2008 May 25]; Available from: URL: http://www.boe.es/boe/dias/2006/02/18/pdfs/A06637-06641.pdf (in Spanish) and from http://www.who.int by search. The Spanish Law 14/2006, of 26th May 2006 on Assisted Human Reproduction Procedures reported in the Law Library of Congress Global Legal Monitor, August 2006, Issue 3 G.L.M. 2006 [cited 2008 October 3]; Available from: URL: http://www.loc.gov/law/news/global-monitor/2006_glm_08.pdf. The Spanish Law 45/2003 of 21 November 2003 amending Law No. 35/1988 of 22 November 1988 on assisted reproduction procedures. [cited 2008 May 25]; Available from: URL: http://www.boe.es/boe/dias/2003-11-22/pdfs/A41458-41463.pdf (in Spanish) and from http://www.who.int by search. The Spanish Law No. 14/2006 of 26 May 2006 on assisted human reproduction procedures. [cited 2008 May 25]; Available from: URL: http://www.boe.es/boe/dias/2006/05/27/pdfs/A19947-19956.pdf (in Spanish) and from http://www.who.int by search. The Spanish Parliament. Law 14/2007, of 3 July, on Biomedical Research [cited 2008 September 25]; Available from: URL: http://www.catedraderechoygenomahumano.es/images/novedades/SpanishLawonBiomedicalResearchEnglish.pdf. Borstlap J. The European Human Embryonic Stem Cell Registry—a personal view from Germany. Nature Reports Stem Cells. Published online: 6 March 2008. [cited 2008 December 18]; Available from: URL: http://www.nature.com/stemcells/2008/0803/080306/full/stemcells.2008.46.html. International News. European Commission Agrees To Create Embryonic Stem Cell Line Registry. 2 April 2007. [cited 2008 May 9]; Available from: URL: http://www.kaisernetwork.org/Daily_reports/rep_index.cfm?DR_ID=43976. The German Berlin-Brandenburg Centre for Regenerative Therapies official website [cited 2008 May 8]; Available from: URL: http://www.b-crt.de. The International Stem Cell Initiative official website. The International Stem Cell Initiative Project of the International Stem Cell Forum [cited 2008 May 7]; Available from: URL: http://www.stemcellforum.org. The International Stem Cell Forum official website [cited 2008 May 7]; Available from: URL: http://www.stemcellforum.org. Steering Committee for the UK Stem Cell Bank and for the Use of Stem Cell Lines. Register of Steering Committee approved Stem Cell Lines. [cited 2008 June 11]; Available from: URL: http://www.mrc.ac.uk/consumption/groups/public/documents/content/mrc003259.pdf.